Avocados have heart healthy fats. The avocados and protein from the eggs make this breakfast filling. 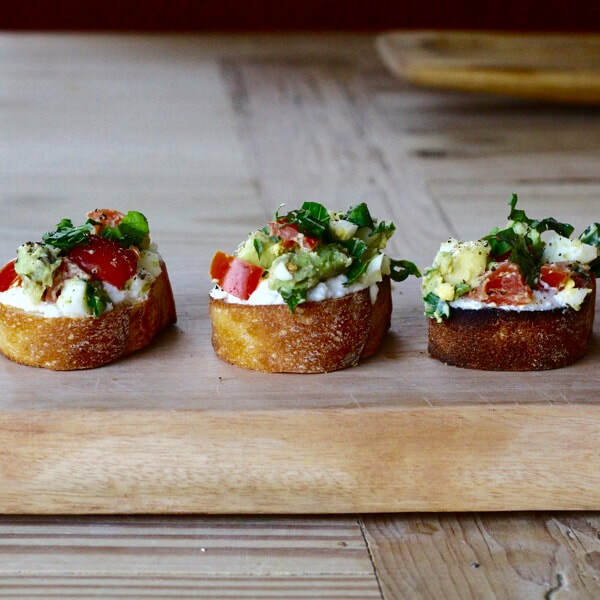 This bruschetta recipe can be made on a baguette, toast, English muffins, you name it! It's for lunch too! Toss avocado, tomatoes, green onions, hard boiled eggs, and basil in a small bowl. Reserve 2 Tbs of basil aside for garnish. Top baguette slices with with avocado mixture and garnish with leftover basil.